Rabina Pokhrel has became NEPAL’S CHUBBY MODEL 2019. Besides title award Rabina received Miss Beautiful Smile, Miss Best Ramp Walk and Miss Popular award with scooter. 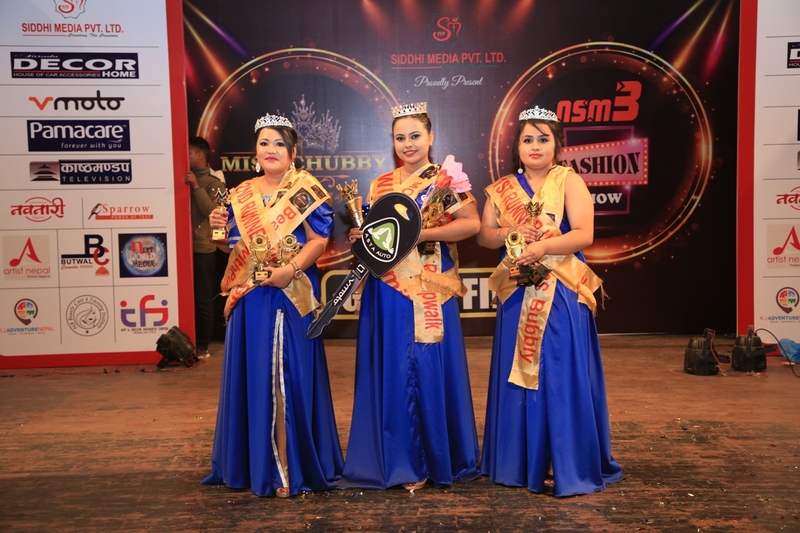 Pageant was organized with the aim to courage and provide platform for chubby girls in national/international competitions. 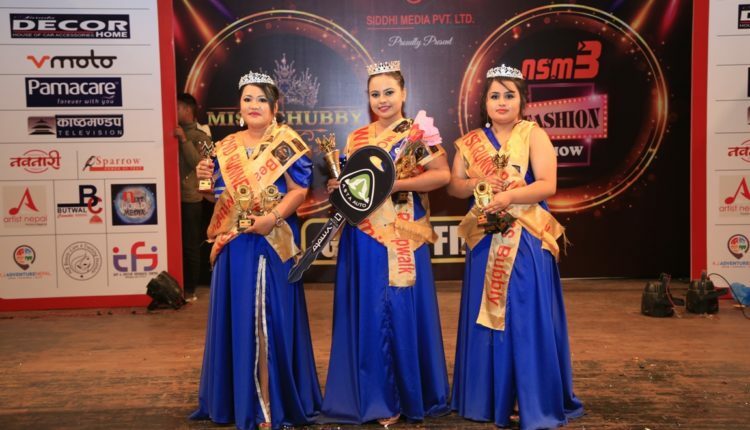 There were total 25 competitors at the pageant and Jigyasa Chataut became 1st runner up and Punam Shrestha became second runners up respectively. Winners will get a chance to participate in international competitions as well. Sanjib Jha, Amita Jha, Krishna Devkota, Pratima Karki, Chanda Thapa Giri were the judges of event. Program was organized by Siddhi Media and choreographed by Sachchu Gurung.